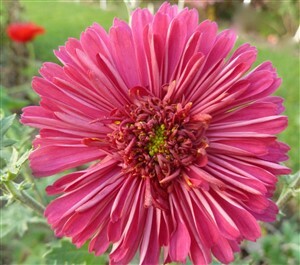 Chrysanthemum 'Roter Spray' A very rare variety with a profusion of sprays of dark pinky red, good-sized flowers with a unique 'darned' eye. Shines out across the garden. Easy in sun, reasonably well drained soil.